Summertime is a time we have always loved to get together with friends and family. I recently hosted a fun little get together with some ladies from my church. 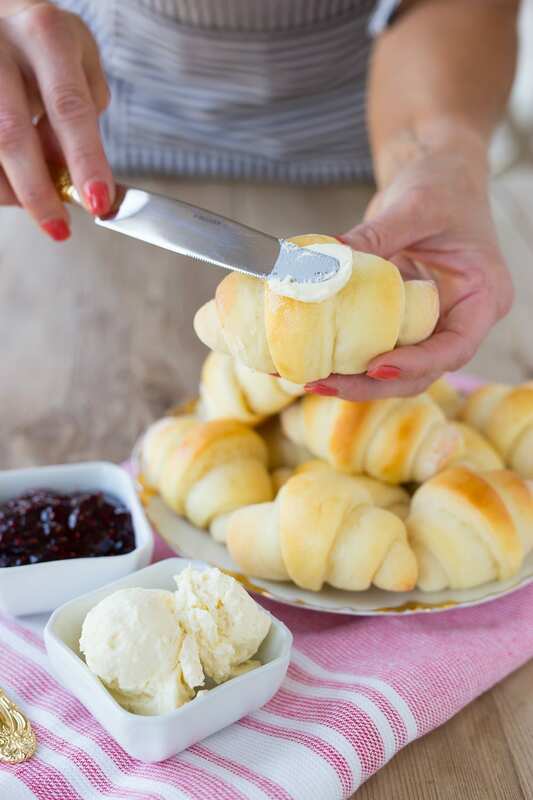 I was asked if I could share some summertime recipes and ideas with everyone. It was right up my alley and I was delighted to share some fun recipes and ideas with these sweet ladies and get some from them as well! One thing I’ve learned that makes hosting a gathering a lot easier is that when guests offer to bring something, let them! I have learned that many people enjoy creating works of art and making good food to share too! 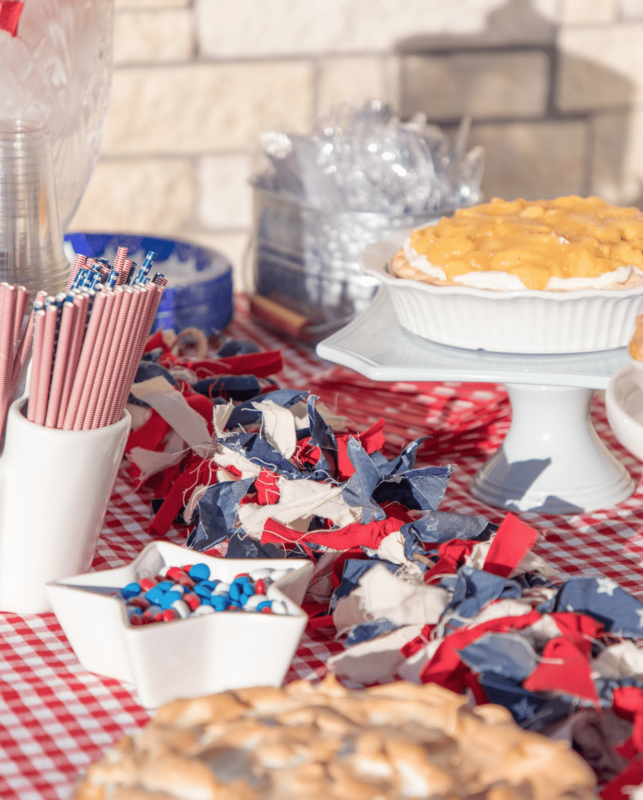 Some of the tastiest food dishes at this barbeque were brought by my guests. It is always fun to get new recipes and ideas from others and learn from them whenever you can! Plus, when you don’t have to do all of the work yourself, it allows you to enjoy the event too! I decided to do a patriotic theme since the Fourth of July is coming up. I already had lots of cute items that I thought would be perfect with the red, white, and blue theme. When I’m planning an event, I usually pull out all of the relevant things that I have (dishes, serving pieces, linens, etc.) ahead of time and start making notes to myself about what I want to use and what I plan to cook. I try to plan things that can be done ahead of time, and then things that are easy and fast to prepare for a large crowd. I’ll try to stick to my more in depth or time requiring recipes for when I have a smaller group I’m preparing for. 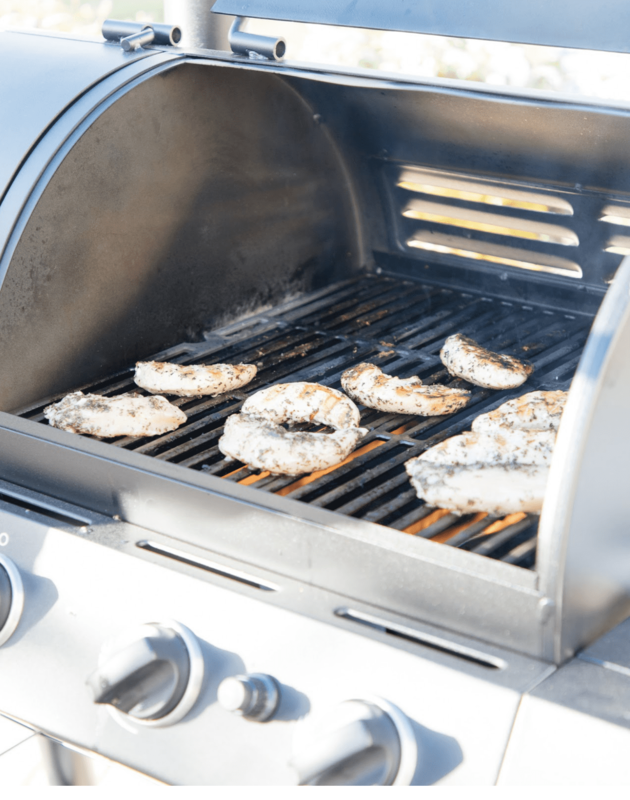 In the summer, barbecuing is always nice because it keeps some of the mess outside, and it keeps me from cooking indoors and heating up my house! 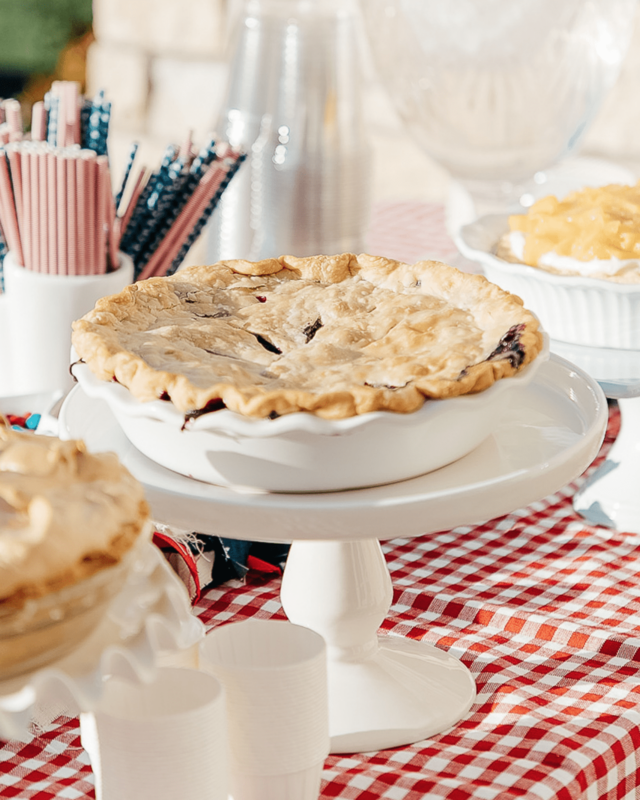 For this event, we decided to do chicken, fruit and veggies, a simple side dish, refreshing summer drink, and a variety of summer pies! I decided to make the chicken, beverage, and a few different pies and then divvied out the other assignments to the other guests! 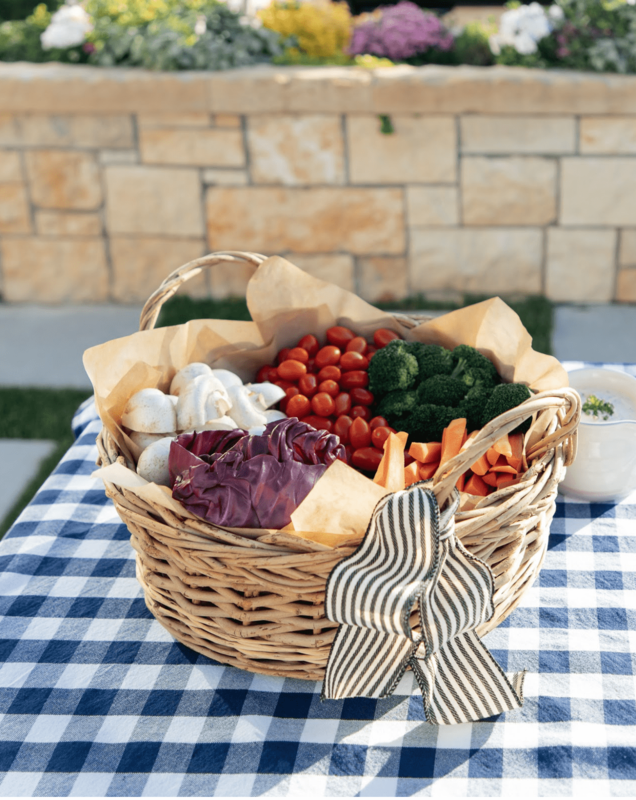 I loved the idea of doing a cute veggie basket as opposed to a veggie tray! 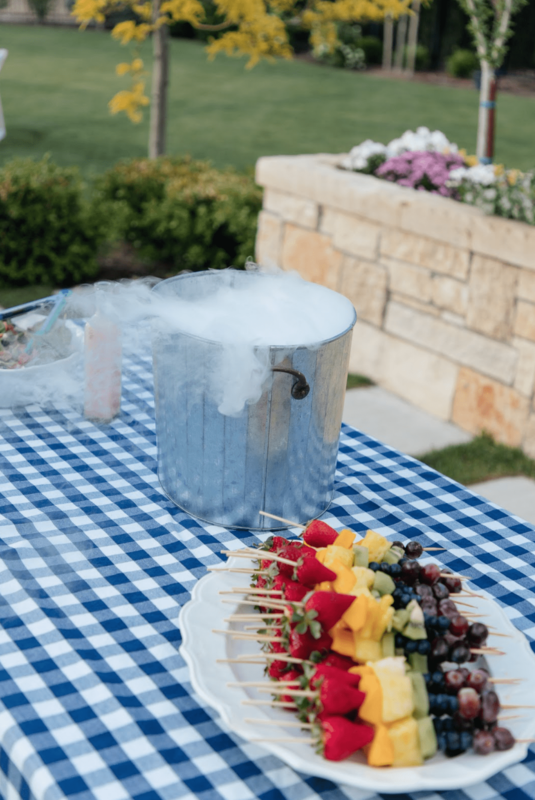 It is such a fun summer twist and went perfectly with our theme! I also loved the pretty fruit skewers! There’s something about bright and colorful fruit that really makes things feel like summer! 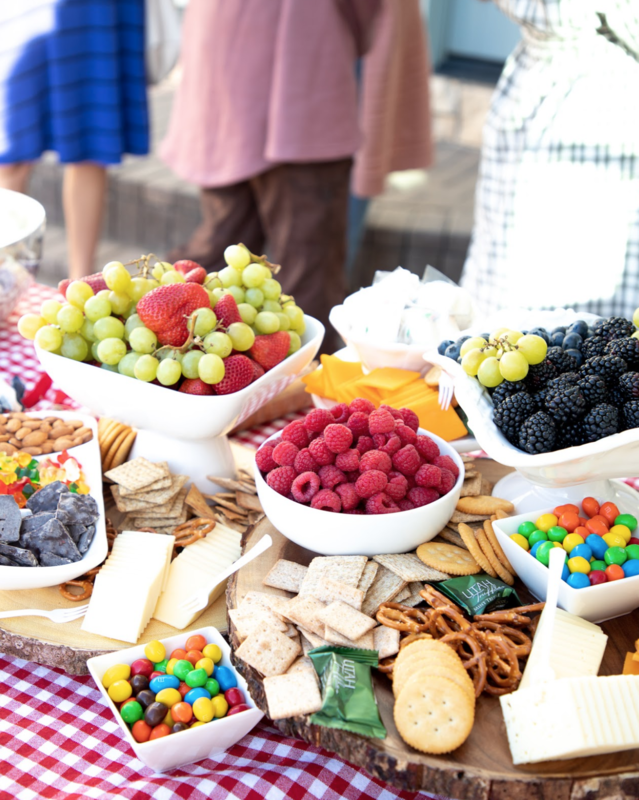 I thought the summer snack board idea was so darling. The lady that brought this used wooden serving trays and small bowls to put all of the different items in. She layered the three trays so that the fruit and other items were stacked at different heights. I was so impressed with all the different ways they made the fruit look so nice and appetizing. And then there’s the pies. Pies always look appetizing, at least to me! The dessert is always one of my favorite parts of any event. I made three different pies for this occasion; Strawberry (which you can get the recipe to here), blueberry, and peach! Another woman brought a lemon meringue and it was so good! Last but not least was our seating setup. I kept things simple and used some round plastic tables and topped them with a basic white tablecloth! 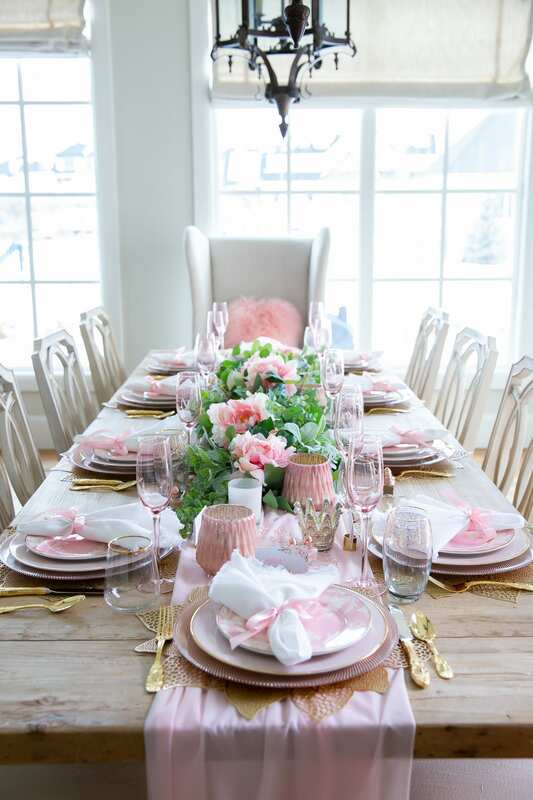 A simple way to decorate tables for these events is to use a cloth napkin and some simple vases with a few flowers. 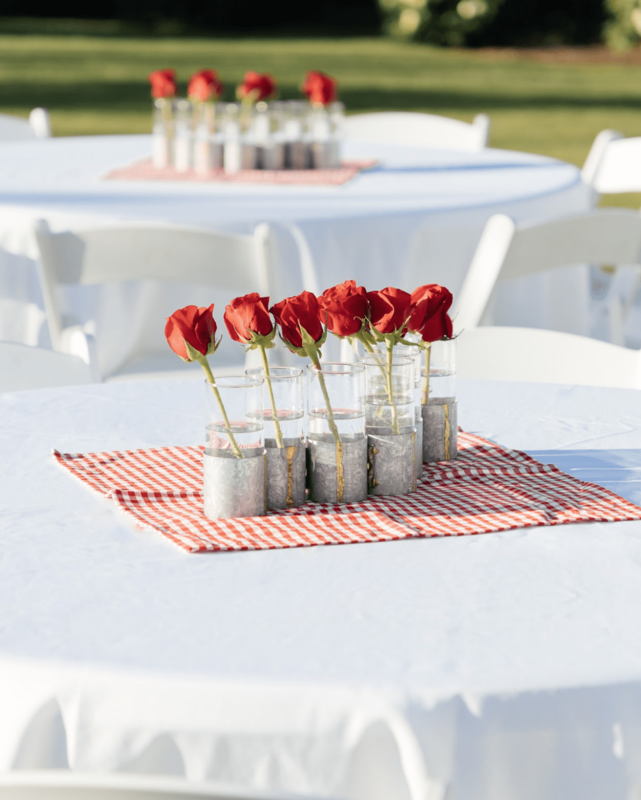 You don’t have to spend a fortune or make a fancy centerpiece for an outdoor event like this. Sometimes keeping it simple (especially for a BBQ) is the best thing to do! If you’ve followed my instagram, you’ve seen how much I love dishes. I’m usually not a fan of paper plates, but events like this are the exception to my rule! If I do use paper products, I’ll try to find some cute colored ones that match my theme. It was easy to find some red white and blue things on sale around this time of year, so that’s what we went with! *When guests offer to bring something, let them! 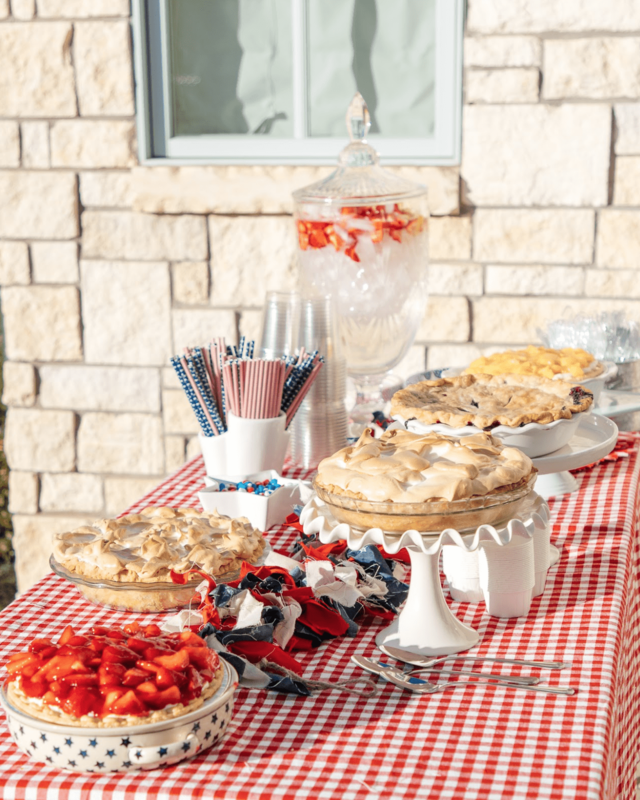 I loved this little summer gathering we did and seeing how cute and creative my neighbors are! I have been enjoying documenting all of these fun ideas and saving them for reference for future events. Hopefully you can use a few of them too! 💙 It’s beautiful here! Congratulations on your new blog, Holly! Congratulations on your new blog!! Happy for you!! Also happy for me , lol to be able to read and enjoy your blog!! Looking forward to all you upcoming ideas, recipes etc. Well done!